In this article, I introduce how to pick up a book (PDF) from the book collection placed in the distance and move it in STYLY. I am planning to make a Scene where I can call a book I want closer to me with a magic wand. Hold down the right grip button with the pointer kept at a book (PDF) to call it closer to you. 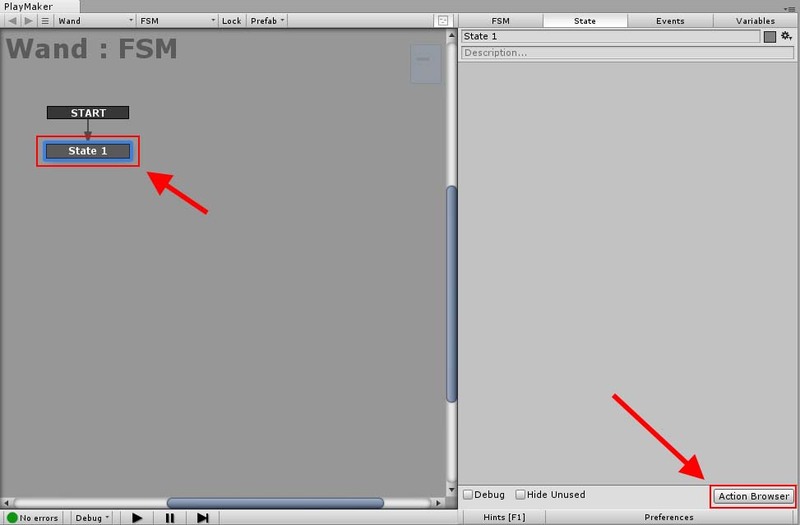 Pull the left trigger with the pointer kept at a book (PDF) to go back to the previous page. I use a paid asset, PlayMaker, in this article. Firstly, we create a magic wand. 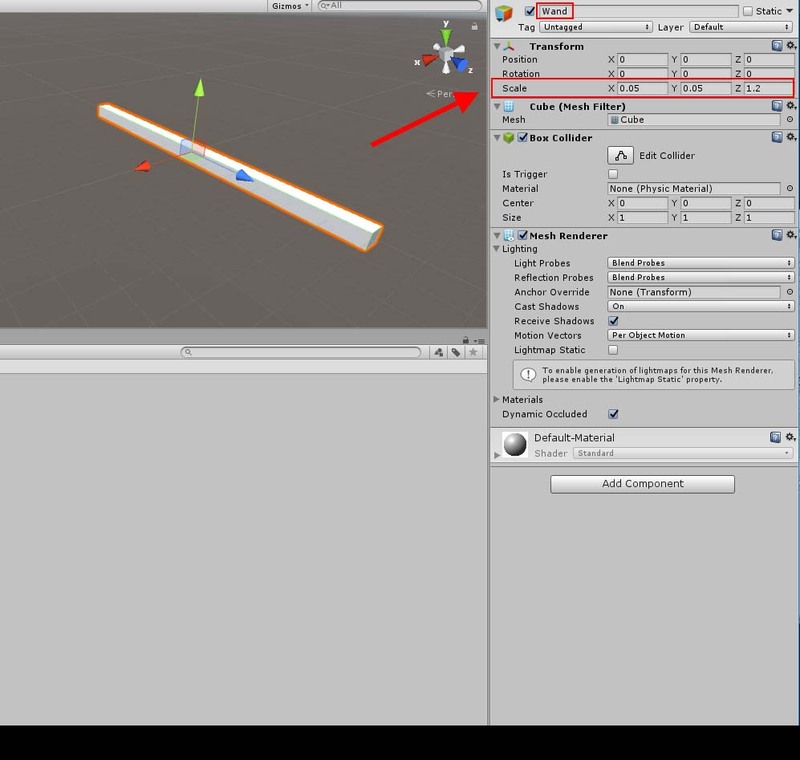 This time, make a simple one from Unity’s Cube object. 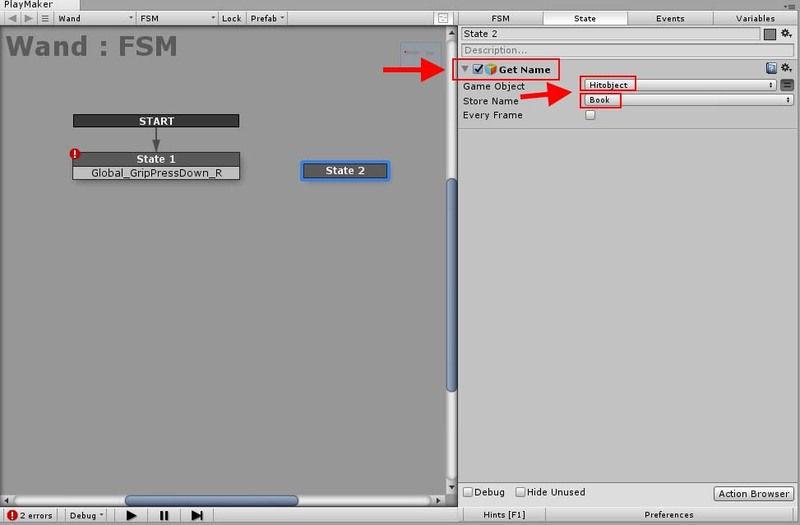 Change each parameter in the ‘Scale’ field so that the object forms an elongated shape. 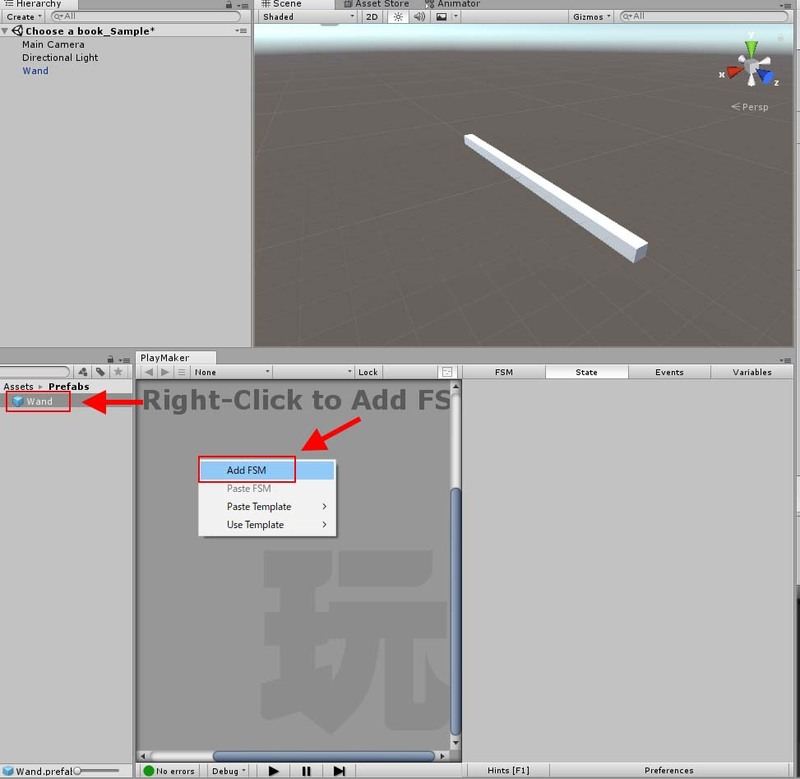 Convert the created wand into a Prefab. 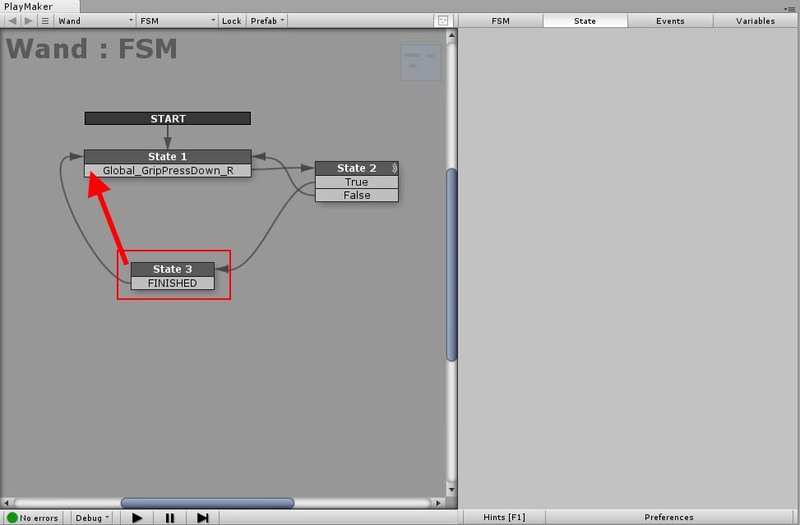 You just need to create the Prefabs folder and drag ‘Wand’ into it. Next, we add PlayMakerFSM to this Prefab. 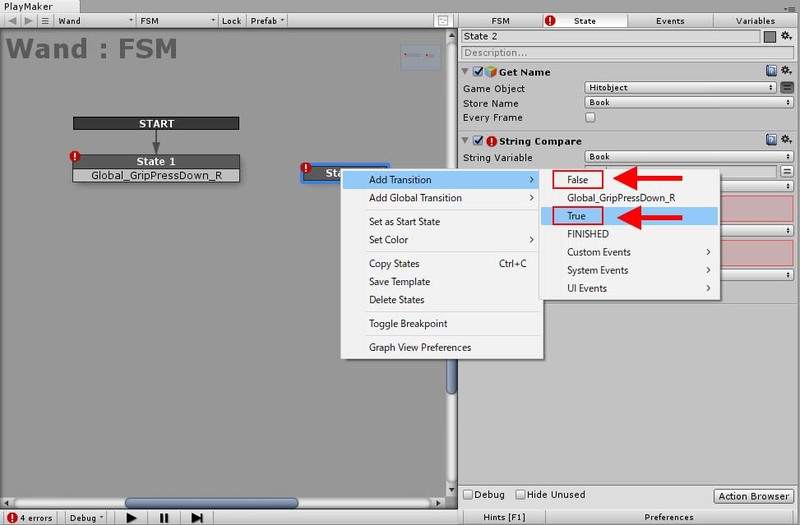 Right-click and select ‘Add FSM’ to add an FSM. We add an action to State1. 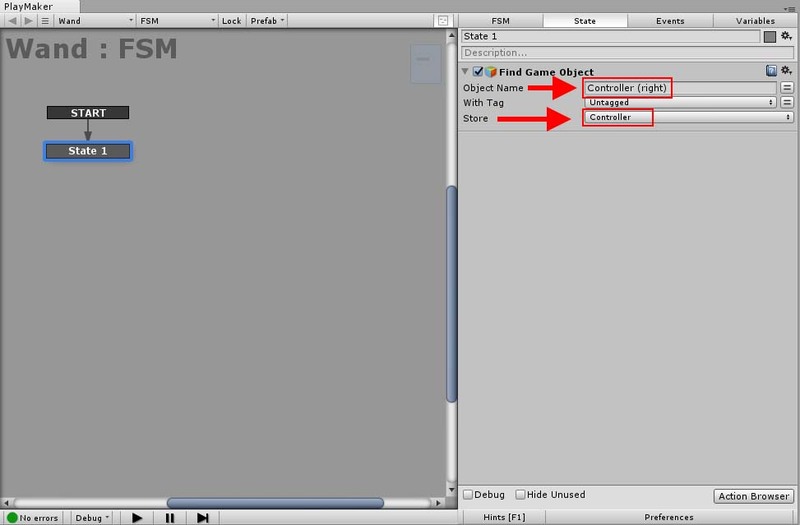 Add ‘Find Object’ by Action Browser. Firstly, acquire the controller and store it in a variable. Create a new variable by selecting ‘New Variable…’. The setting for Find Game Object. Next, make the wand created earlier a child of the controller by ‘Set Parent’. It creates the wand at the same place as the controller. Make the wand cast a Ray so that it acquires the object hit by it. 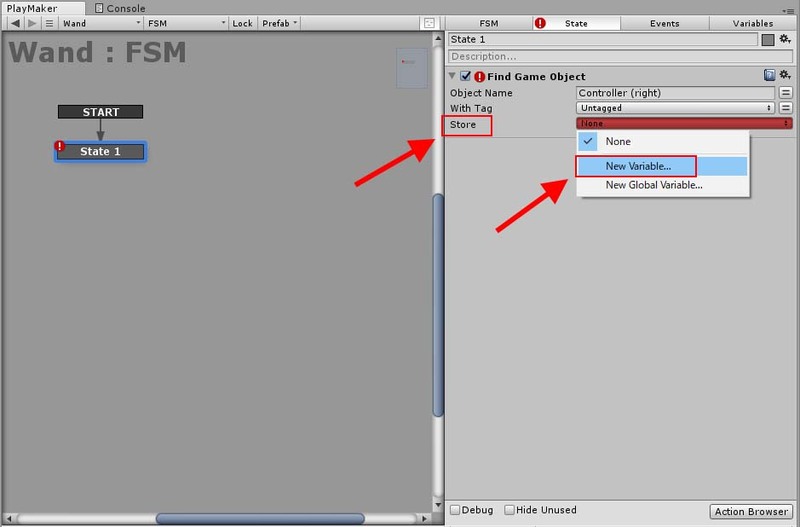 Select ‘Specify game Object’ and specify the ‘Wand’ Prefab in the ‘From Game Object’ field. Set the Z-direction to 1. The object hit by Ray will be stored in ‘Store Hit Object’. Create ‘Hitobject’ by ‘New Variable…’ and specify it in the ‘Store Hit Object’ field. 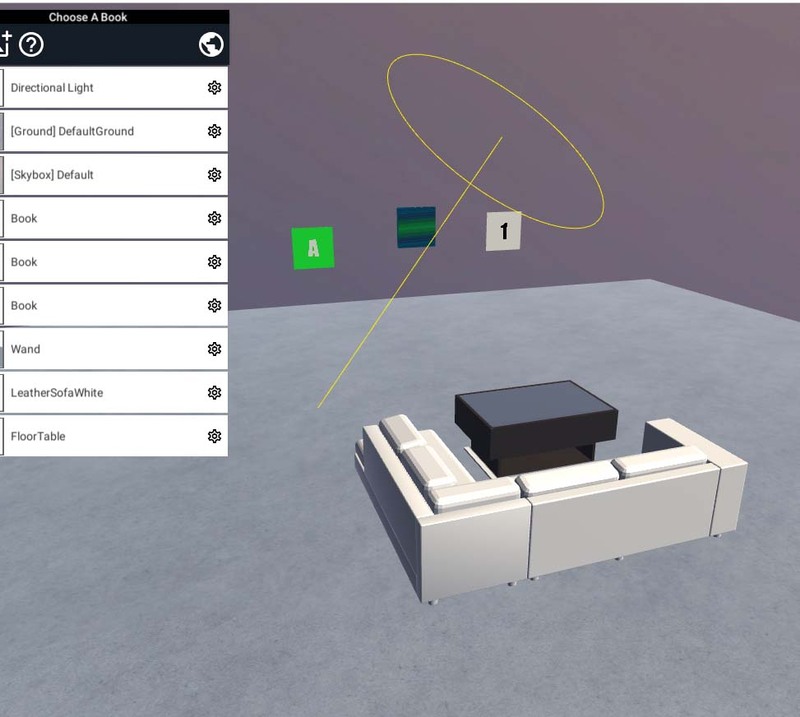 Create the ‘Global_GripPressDown_R’ event to trigger a transition when holding down the grip of VIVE controller. 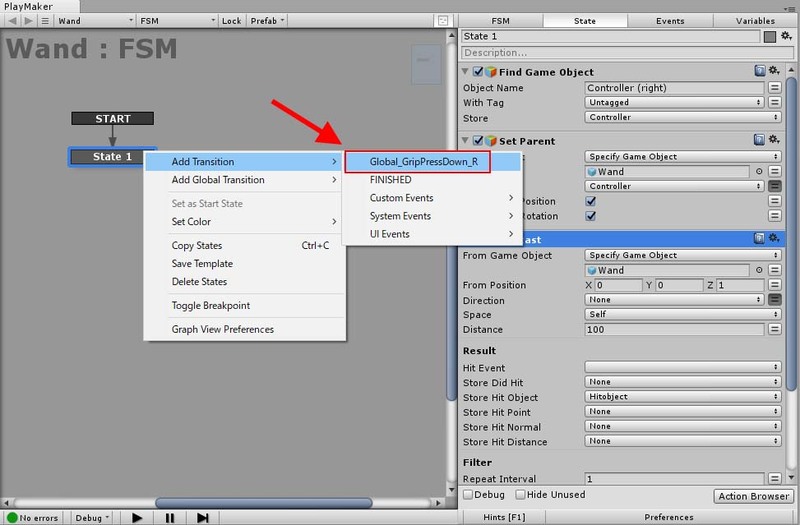 by ‘Add Transition’, select ‘Global_GripPressDown_R’ created above. It completes the setting for State1. Create a State to evaluate whether the object hit by Ray is a book or not. 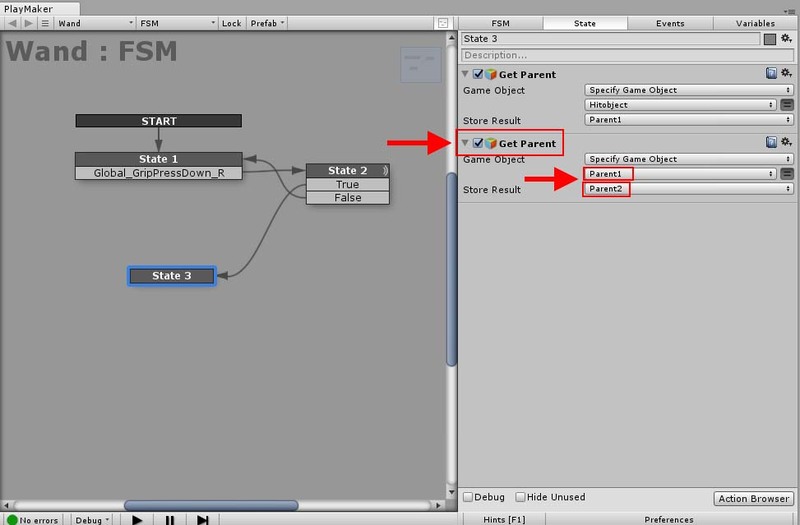 Create State2 and add ‘Get Name’ to it. Store the name of the hit object in a variable. 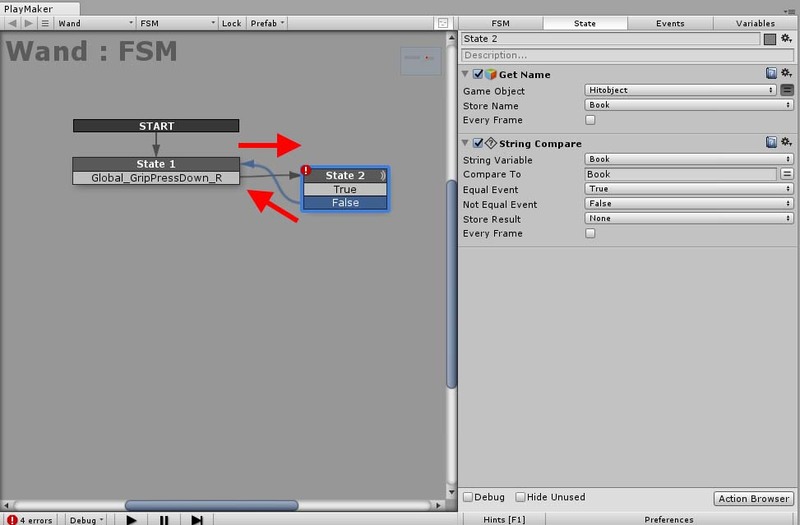 Create a variable by ‘New Variable…’ and name it ‘Book’. Add ‘String Compare’ to compare character strings. Set ‘Equal Event’ to ‘True’. 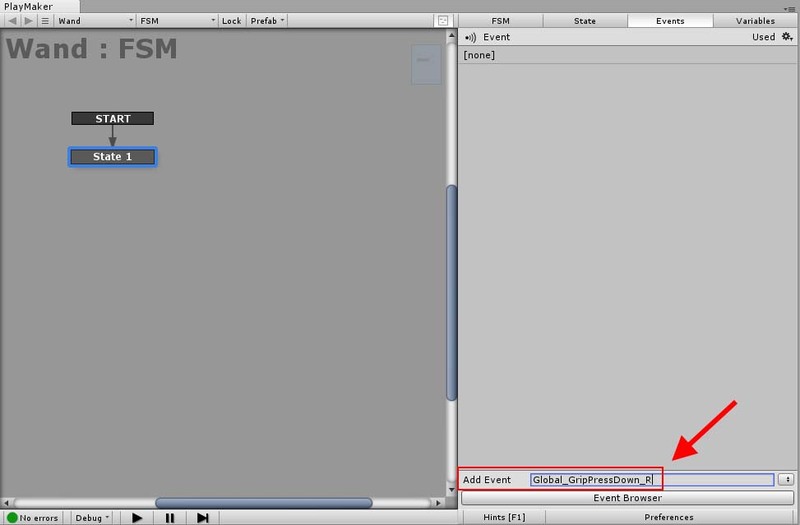 Create the ‘False’ event and specify it in the ‘Not Equal Event’ field. Specify a character string, ‘Book’, in the ‘Compare To’ field. If the hit object is ‘Book’, it triggers the True event, and If not, triggers the False event. When the False event is triggered, it goes back to State1. In State3, we set the sequence when State2 triggered the True event. 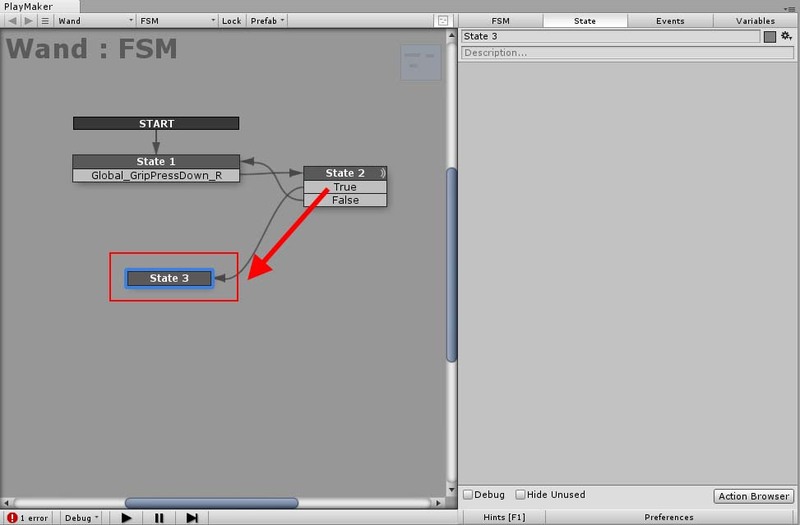 Firstly, create State3 and connect State2’s True to it. When moving ‘Book’, we also want to move the parent object of ‘Book’. 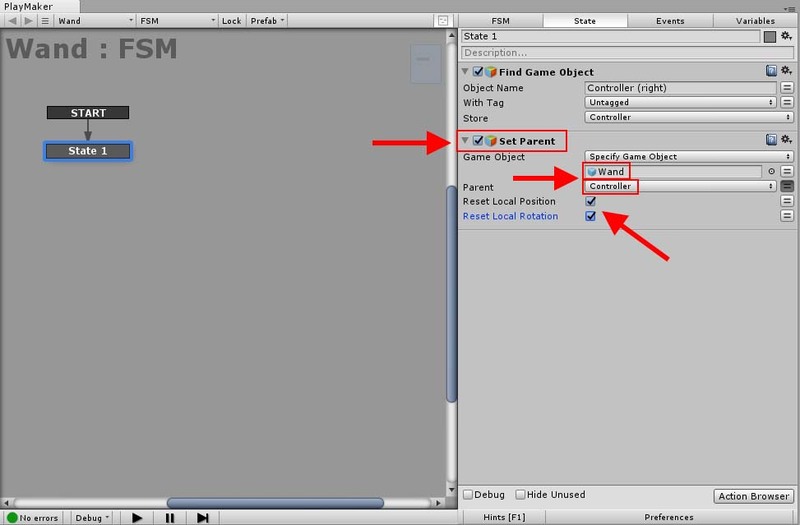 Acquire the parent object by using ‘Get Parent’. Create ‘Parent1’ by ‘New Variable…’ and specify it in the ‘Store Result’ field. The setting for ‘Get Parent’. We also want to acquire the one-higher-level parent object, so add ‘Get Parent’ once more. Create ‘Parent2’ by ‘New Variable…’ and specify it in the ‘Store Result’ field. 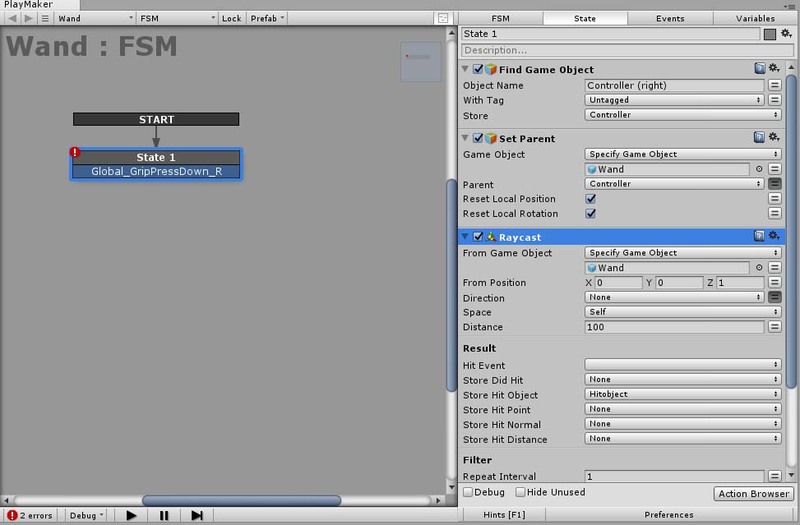 Move the parent object acquired to a location by ‘Move Towards’. 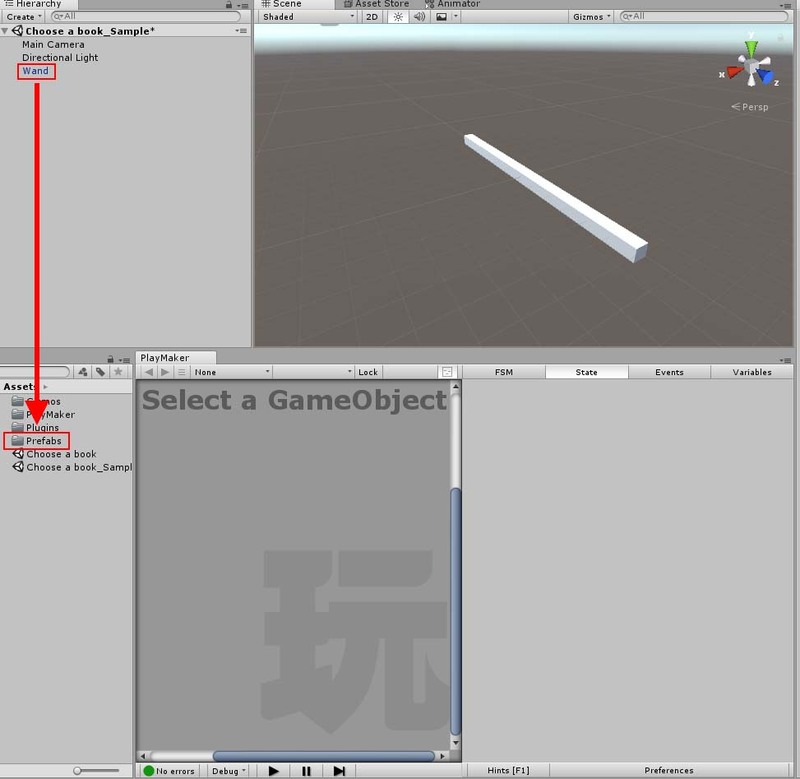 In the sample Scene, I set it so that the object moves to the location, (0,1,0). Set ‘Finish Distance’ to 0. The setting for ‘Move Towards’. 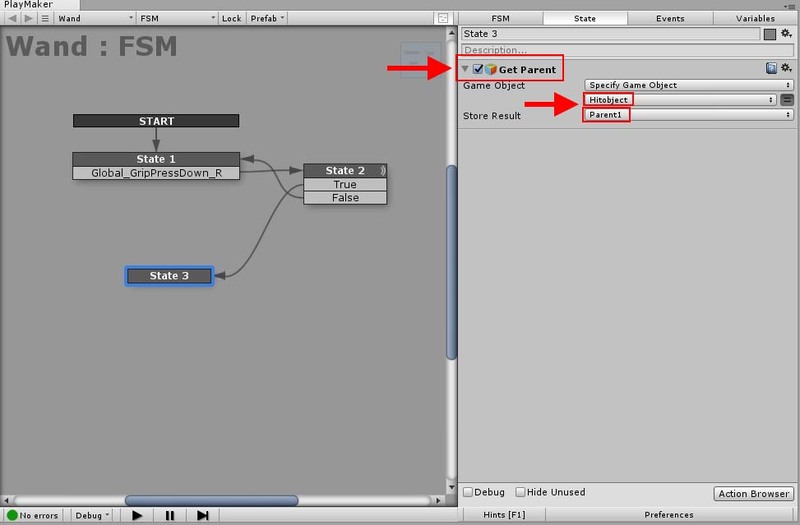 Add ‘FINISHED’ to State3’s Transition and connect it to State1. It’s completed now. I placed the asset so that the book is put on the desk exactly. Now you can select and call a book in the distance while setting back on the sofa. 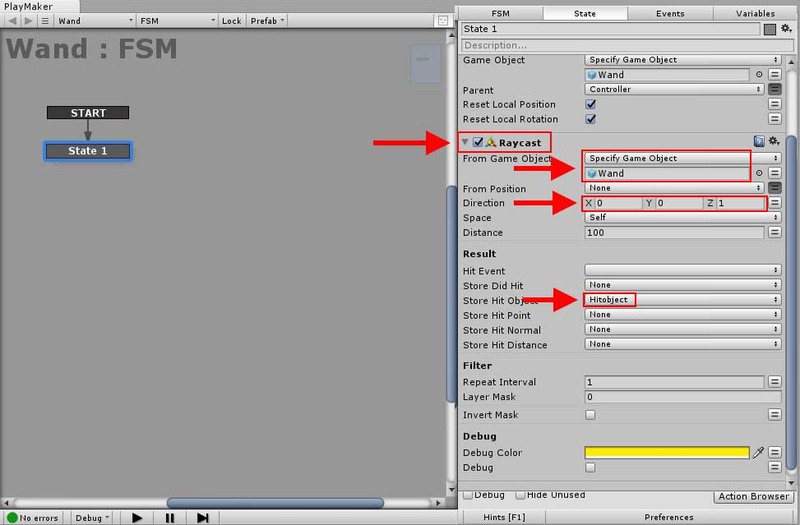 Please refer to the article below to learn how to import a PDF to a Scene. 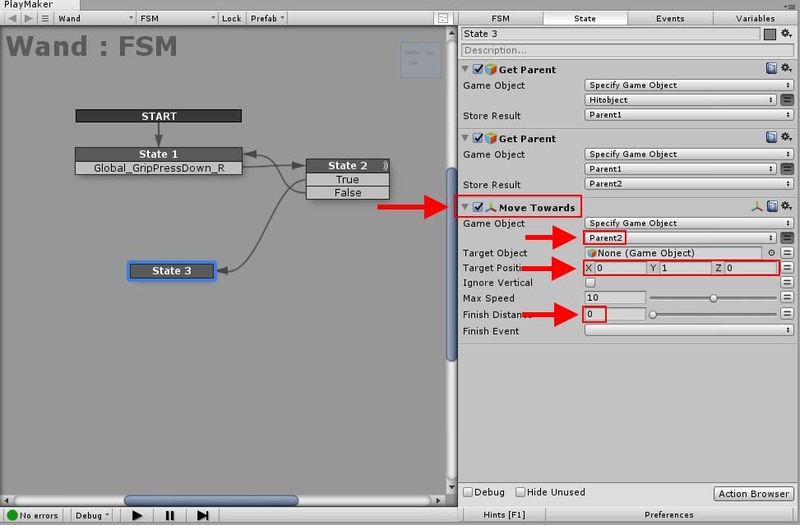 In this article, I introduced how to access a remote object by casting a Ray. It would be useful to create the Scenes with the UI for navigation or a game.